Weighs Bags up-to 100lb. with Digital Accuracy! 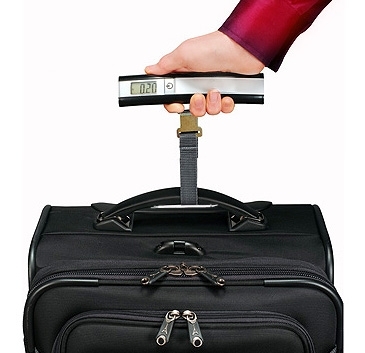 This digital luggage scale could pay for itself on your first trip! Have you ever arrived at the airport and wondered if your bag would be overweight? Overweight fees can be very expensive, especially on international flights. That's the idea behind this lightweight, accurate digital scale. Take this compact digital scale on your next trip and you'll always know the weight of each of your bags, allowing you to shift heavy items to a travel companion's bag or a carry-on. 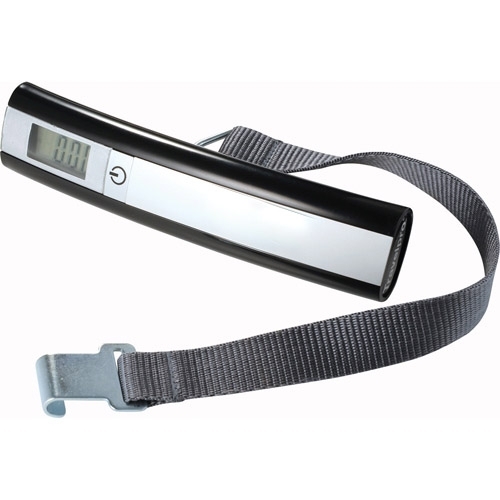 Quick-access hook easily slides through luggage handle and safely secures your luggage to be weighed. Can easily pay for itself on one trip! Flight crews and frequent travelers know and respect the Travelpro brand. They also know how costly it can become if your luggage is overweight. Don’t guess about weight. Know before you go! Check your airline's maximum weight policies and overweight charges on their website. You can use scale to weigh a mesh bag of fruit in an open air market (to know whether you're getting a fair deal) or to weigh parcels for shipment. Just tie package with twine and hook the scale onto the twine. We're sure that you'll come up with even more ways to use the scale!